The 23andMe Referral Program provides you with the opportunity to receive rewards based on purchases made from a specific link that you can share with family and friends. 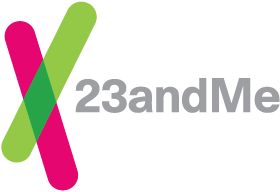 What is the 23andMe Referral Program? We want to reward our customers for telling their friends about 23andMe! When a friend or family member (referred to herein as “friend”) makes a purchase on 23andMe.com via your unique referral link, you will receive an Amazon Gift Card valued up to $20 (Terms and Conditions apply). Your friends will receive a discount on the purchase. The reward program is run through Extole, an authorized third party vendor of 23andMe. In order to be eligible to participate in the program, you must be a current 23andMe customer, at least 18 years old, and a legal resident of the United States. Simply visit https://refer.23andme.com/ to become an advocate. Use the email address associated with your 23andMe account to generate a referral link that will allow you to receive referral rewards for your friends’ 23andMe.com purchases. You can share your referral link with your friends directly or via email, Facebook or Twitter. How is this different from the affiliate program? If I am currently an affiliate, can I also participate in the referral program? 23andMe has an affiliate program run through CJ Affiliate by Conversant (formerly Commission Junction). You may participate in the referral program regardless of your affiliate status. You must agree to the terms that you will only send messages to people with whom you have a personal or family relationship. You must also agree to receive emails about the program and to receive Rewards. How will I get credit for my friends’ purchases? When your friends receive your referral link and click on it, they will be directed to 23andMe.com. In order for your friend’s 23andMe order to be associated with you, your friend must use your specially provided link. Once your friend’s 23andMe order ships, you will have successfully generated a valid referral. Please note that your referral link is specific to the country of the referral program in which you are participating, and you will receive credit only for orders placed within the same country. If you are participating in 23andMe’s US referral program, you will be credited for friends’ orders placed through 23andMe’s US Store. What is the reward and how long will it take to receive? When you generate a valid referral, you will receive an Amazon Gift Card valued up to $20 via email within 30 days of your friend’s order shipment. For a referral of a 23andMe Health + Ancestry Service kit, you will receive a $20 Amazon Gift Card. For a referral of a 23andMe Ancestry Service kit, you will receive a $10 Amazon Gift Card. Only one reward can be earned per customer referred, regardless of the number of kits purchased, with the following exception: for a referral of three (3) or more 23andMe Ancestry Service kits in one order, you will receive a $20 Amazon Gift Card. How do I see how many friends I’ve referred and how many rewards I’ve earned? Log in to your Refer a Friend account at https://refer.23andme.com/ - to log in, simply re-enter your signup email address. Visit https://refer.23andme.com/ and click on the link labeled "My Stats." Enter your email address to have your stats emailed to you. Is there a limit on the number of referrals I can get credit for? No, there is no current limit on the number of referrals you can generate. However, you will only receive credit for one order per person, meaning that if one individual places multiple orders using your referral URL, only one of the orders will result in a credit. Can I receive credit for previous purchases? No. Any purchases made without the use of your specific referral link will not be tracked as part of the referral program, and you will not receive credit for those purchases. If someone I refer requests a refund on his or her order, will that affect my reward? If a referred order is cancelled or a refund is requested prior to the order being shipped, then you will not receive credit for the referral. Your reward is tallied when the order is shipped. Will my friend be rewarded? Yes, your friend will receive a minimum of 10% off of their 23andMe order, unless a higher offer is available on 23andMe.com, in which case the greater discount will apply. I haven’t received my reward. Where is it? Check your stats on https://refer.23andme.com/. Remember that orders must ship prior to rewards being generated. Check your email inbox. You will receive reward information at the email address used to participate in the referral program. Be sure to double-check your spam filter as well. If you are still missing your reward, feel free to contact us by submitting a request here.